Its Only a Movie! 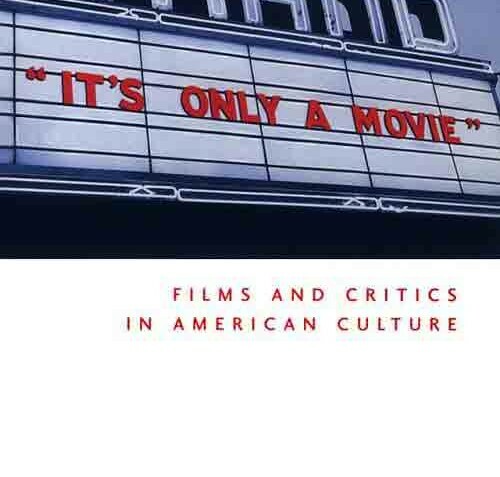 Films and Critics in American Culture – Raymond J. Haberski Jr.
It&#146;s gratifying to find an author who investigates a subject from first principles. Such studies are not only illuminating, they are easier to digest for people unfamiliar with the subject. Haberski&#146;s book, a study of film as a cultural phenomenon, takes the reader back to the beginnings of film. This journey through time is purposive; the author is mining the past to explain the present day anathema towards film scholarship and critics. Haberski studies debates on cinema from the early twentieth century through the nineteen sixties. Since film gained prominence in the twentieth century, its aesthetics are modern and its preoccupations contemporary. At one time, progressive intellectuals and socialist radicals alike deemed the movie a menace–a medium for corrupting the morals of a society. The author discusses the little known but significant Chicago Motion Picture Commission hearings in 1918 which turned into a virtual referendum on the moral and cultural values of film. After the motion picture shook off its mantle of cultural corruption, the tasks of defining and developing the aesthetics of the medium remained. Could movies be analyzed in the same way as literary works and theatrical productions? Haberski discusses the work of Gilbert Seldes (The Seven Lively Arts) who was among the first to tag movies as a popular art form. Film, Seldes pointed out, has the ability to entertain thousands of people at the same time without them realizing &#147;what a dazzling feat&#148; that was. But the label of art did not stick comfortably to the motion picture. Critics like Seldes remained in the minority; for the vast majority, films were just a good time. The widespread notion of film as fluffy entertainment underwent a change in the nineteen fifties and sixties with exciting new films from the French "New Wave" directors. Francois Truffaut (The 400 Blows) and Alain Resnais (Hiroshima Mon Amour) became famous for their artistic innovation in films, along with other prominent filmmakers such as Jean-Luc Goddard, Claude Chabrol, Jacques Rivette, and Eric Rohmer. Their individual styles were given prominence in the United States by Andrew Sarris, a Village Voice film critic, who developed the auteur theory of film. According to the auteur theory, the soul of the film is the director and it is possible to discern a director&#146;s trademark in each of his movies. Haberski analyzes the struggle to define the cultural identity of film. He points out that instead of film conforming to high art standards, the notion of art changed to include film in its fold. He identifies the auteur theory as instrumental in developing the notion of film art. At the same time, the theory encompassed even westerns and comedies, thus further blurring the line between entertainment and art. Pauline Kael (I Lost It at the Movies; Five Thousand and One Nights at the Movies), who along with Andrew Sarris was one of the foremost critics of her era, did not take kindly to the auteur theory. Kael believed passionately in film but thought an academic approach would stifle interest in the movies. Reacting to Sarris&#146; assertion about finding meaning in a director&#146;s films (&#147;Sometimes, a great deal of corn must be husked to yield a few kernels of internal meaning.&#148;), Kael said &#147;Perhaps a little more corn should be husked; perhaps, for example, we can husk away the word &#145;internal&#146; (is &#145;internal meaning&#146; any different from &#145;meaning&#146;? ).&#148; Haberski devotes considerable attention to the Sarris-Kael debate not only to feature the key issues in film studies but to highlight the kind of passionate discussion film was generating in the sixties. Haberski&#146;s work is incomplete in some respects. He has focused on apathy towards film culture only from the film critic&#146;s point of view. The attitudes of people at the two ends of the spectrum, i.e., film scholars and the general public, has not been sufficiently analyzed. In the past few decades, scholars such as David Bordwell (Narration in the Fiction Film) and Richard Allen (Projecting Illusion: Film Spectatorship and the Impression of Reality) have contributed important ideas to film literature. These scholars have not taken part in public debates on film, but their contribution to thoughtful film analysis cannot be denied. Going forward from Haberski&#146;s analysis, the trend in cinema studies is most likely to tailgate sports journalism. Films would be discussed like baseball–a spectacle explained in terms of special effects and great players. Some extraordinary moments of grace and athleticism would be discussed, the thrills of watching beautifully bodied people in action would be highlighted, and the question of film as art would be lost among the claps and cat-whistles. It&#146;s Only a Movie! takes a decidedly pessimistic view on society&#146;s attitude towards film today, but does so with sparkle in its discussion and vivacity in its debates.